By transferring your debts into one payment, it may help reduce your total repayments and help to work out a plan to eliminate your debt sooner. Those with a mortgage could consider consolidating your debt into your mortgage, you may also consider splitting your loan facility. 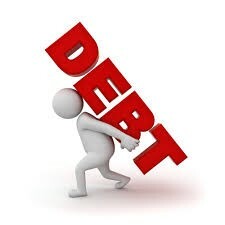 This will allow you to pay off this portion sooner and avoid spreading this debt over 30 years and incurring more interest. If you maintain current payments you can pay the debt off even sooner, and your home loan will nearly always have the cheapest interest rate.